In 2017, Corey Lindley traveled to the southeast tip of Kenya to visit a group of farmers. 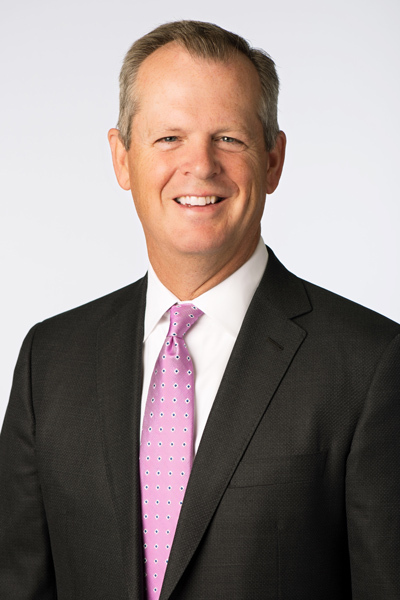 Lindley is the CFO of doTERRA, a producer and distributor of essential oils and oil-infused personal care and spa products, dietary supplements, and healthy living products for the home. The company recently built a several hundred-acre model farm in the region, where it is working with small-scale growers to harvest ginger, eucalyptus, tea tree, and other oils. In Kenya, Lindley met a woman named Rebecca, who grows ginger on an acre of land. The company provides growers like Rebecca with seedlings and education about how to plant, weed, mulch, and manage their crops. “Working with the growers and being primary with them is absolutely key to allowing us to grow to the size that we have, continuing to provide pure, natural, essential oils,” he says. Now, doTERRA works directly with the majority of its growers to produce more than 130 essential oils, which it sources from more than forty-five countries. The company achieved its goal of growing to more than $1 billion in annual sales in the fall of 2015, and the growth remains exponential. Through a practice doTERRA calls co-impact sourcing, the company partners with organizations and community leaders to create a system that benefits growers, harvesters, distillers, and the company. To gain farmers’ trust, doTERRA’s leaders promised demand. The company built a distillation facility in Bulgaria and guaranteed farmers consistent prices for five years. Then, the company developed a transparent distillation process: a farmer brings in their crop, watches as it is distilled and tested, and leaves with a check. “This brought huge confidence, and today we have farmers overflowing in Bulgaria,” Lindley says. 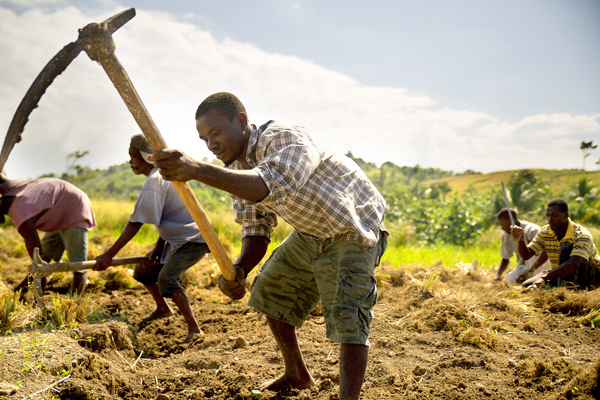 Ensuring fair payment is a key goal of co-impact sourcing. In Nepal, one of the company’s main crops is wintergreen, which grows natively on the hills. After visiting the farming communities in 2017, Lindley committed to giving the women who harvest the wintergreen raises each year. “In the three years that we’ve been there, the women that are harvesting the wintergreen now make double what they made before we started working with them, in terms of harvesting wintergreen,” he says. 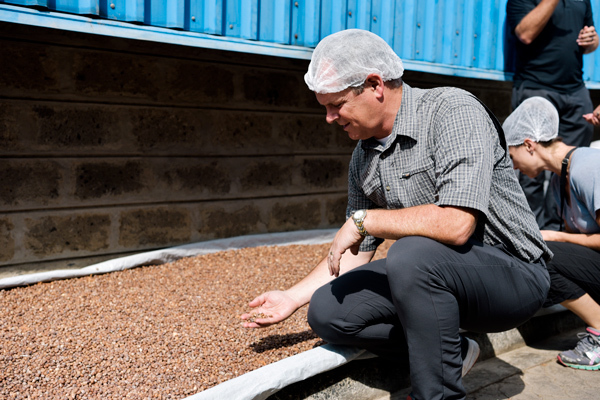 Corey Lindley recently visited Kenya, where doTERRA sources its macadamia nut oil. Distilling essential oils like wintergreen requires a significant amount of heat, and generating that heat often involves burning limited resources such as coal and wood. In Nepal, doTERRA’s scientists determined that by crushing the wintergreen leaves and alternating short heating periods with longer rest periods that they could yield more oil with half the heat source. Another example of doTERRA’s co-impact sourcing is in Somalia, where farmers had overharvested many of the frankincense trees after a drought devastated the goat herds that brought in much of the community’s income. The company worked with environmental scientist Anjanette DeCarlo to determine which trees required a rest period before they were harvested again. During this rest period, doTERRA donated more than $1 million of foodstuffs to sustain the community, as well as donated resources to build a hospital. “Rather than just trying to take from these communities, we’re investing in them,” Lindley says. Co-impact sourcing focuses on supporting growers, harvesters, and distillers overseas, but doTERRA is creating positive change in the lives of its US-based employees, as well. In 2016 and 2017, the company made Forbes’ America’s Best Midsize Employers list. As always, sustainable growth is doTERRA’s target. “We’re doing different things in a variety of ways to continue to help our employees move forward so they can be committed to us long-term,” he says.